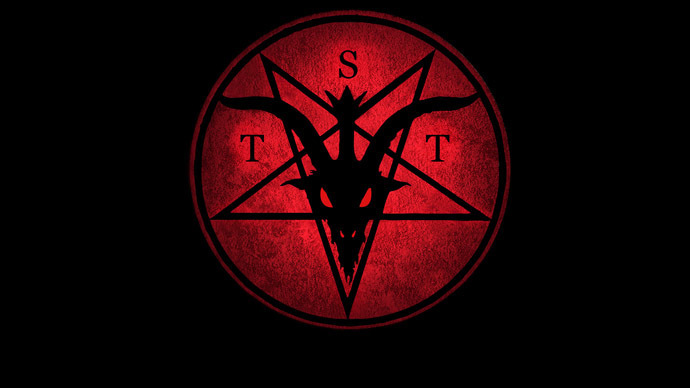 JNN 20 Sept 2014 New York : The Satanic Temple has announced that it will provide pamphlets on Satanism to students in Florida, following the school board’s decision permitting the distribution of religious materials. The Satanic Temple came into the media spotlight after announcing it is going to erect a seven-foot Baphomet statue next to a Ten Commandments monument at the Oklahoma State Capitol. It also unveiled plans to build a chapel in Detroit. This entry was posted in United States and tagged Florida, Florida schools, religious materials, Satanic Temple, Satanism, School Children, Temple, The Satanic Temple. Bookmark the permalink.